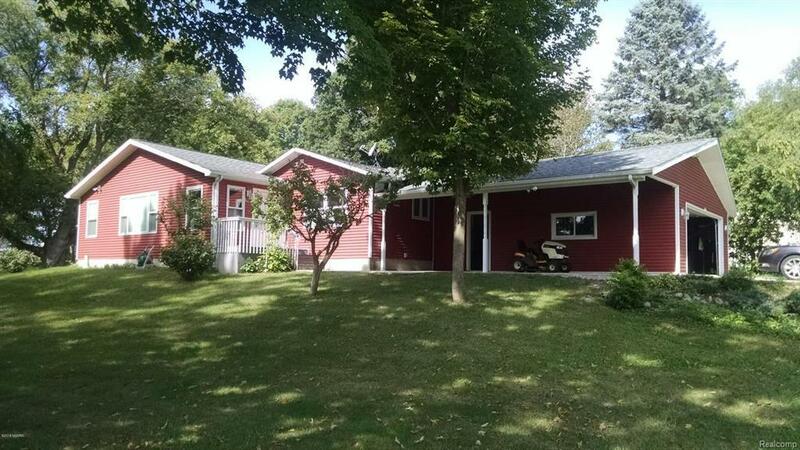 Large open ranch with full unfinished basement. Access to Rainbow Lake is accross street. Home is on a corner double lot. Newer carpet in livingroom and also in dinningroom. Dinningroom has stone fireplace. 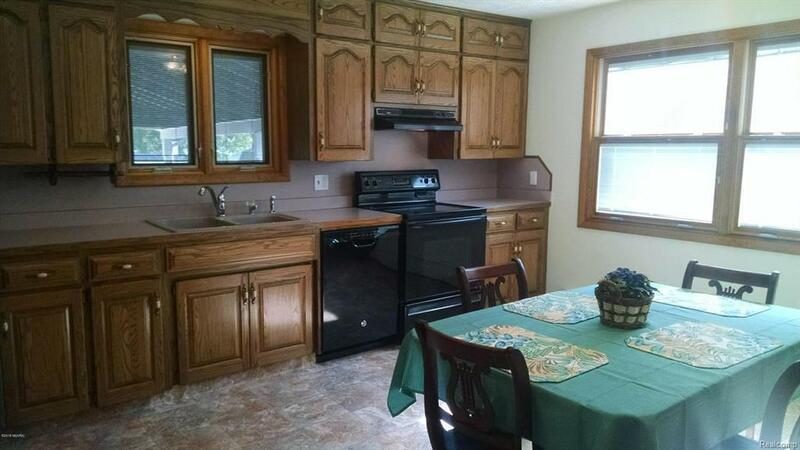 Eat-in kitchen with pantry and all new appliances stay. 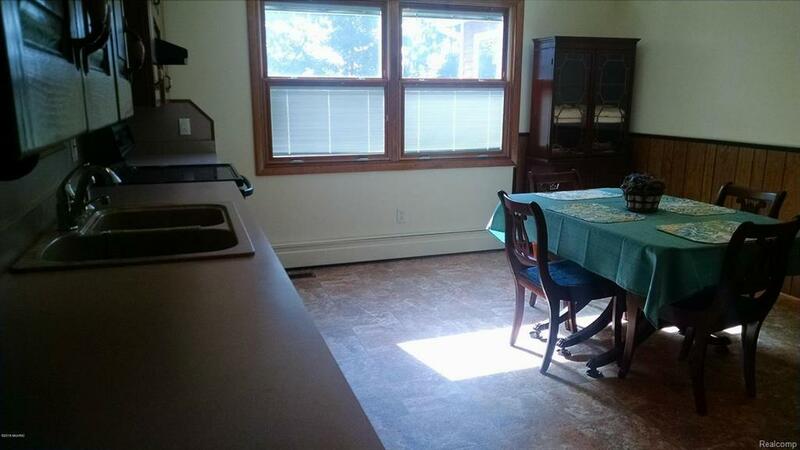 All bedrooms have original hardwood floors and home has two heating systems. Natural gas forced air furnace is currently being used but could also be boiler heat. 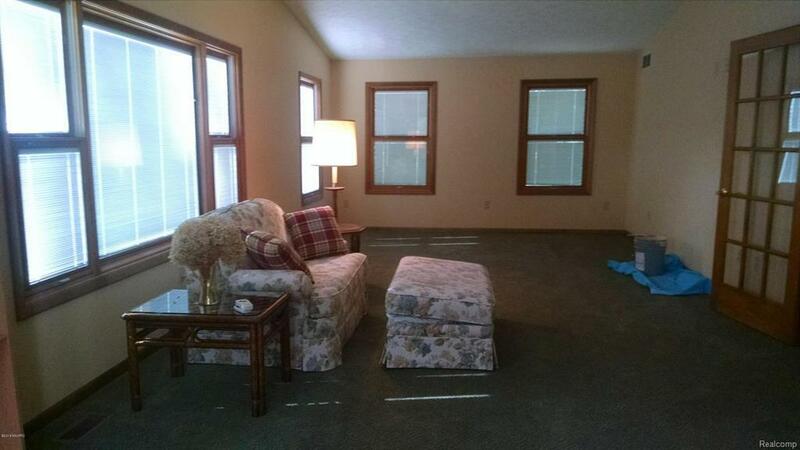 Livingroom has cathedral ceiling with water view.,Large open ranch home with full unfinished basement. Access to Rainbow Lake accross street. Home is on corner double lot. Newer carpet in livingroom and also in dinningroom. Diningroom has stone fireplace. Eat-in kitchen with pantry and all new appliances stay. All bedrooms have original harwood floors and home has two heating systems. Being used is natural gas forced air furnace but could also be boiler heat. Livingroom is large and open with cathedral ceilings with a water view. IDX provided courtesy of Realcomp II Ltd., via Appleland Realty Carson City and Montcalm County AOR MLS, ©2019 Realcomp II Ltd. Shareholders.